To become a nurse, your best first step is earning a degree or certificate from an accredited nursing program. A full-term bachelor of science in nursing degree, or BSN, is your optimal choice if you’re interested in a long and financially rewarding nursing career. However, this path is expensive and requires at least a four-year commitment. If time or money will impact your choice, you might want to consider other options that involve lower costs and less time to finish. Earning certification as a nursing aide (CNA) is the fastest and least expensive way to launch a nursing career, taking an average of six weeks of classroom instruction and clinical training. If you have more time, then you should consider becoming a licensed practical nurse (LPN). These programs last 12-18 months, including time to review and prepare for a licensure exam. An associate’s degree in nursing (ADN) is the next logical option if a full-term BSN degree is too much of a time or financial commitment. The program takes a minimum two years of classroom instruction and clinical exposure. Earning an ADN qualifies you to take the NCLEX-RN, the licensure exam for registered nurses. Moreover, the units you earn in your ADN could be used as credits toward a BSN, if you eventually decide to pursue a bachelor’s degree in nursing. All of these nursing positions are in high demand in various healthcare centers in Birmingham, Alabama, including hospitals, out-patient clinics, and elderly homes. 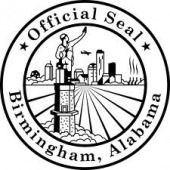 Below is a directory of the top colleges and universities offering accredited nursing programs in Birmingham.